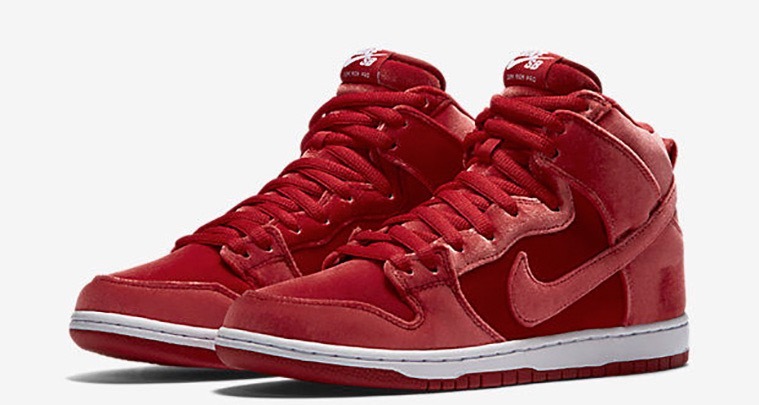 SB Dunks have released at an accelerated rate over the past few months, and they don’t seem to be slowing down anytime soon. 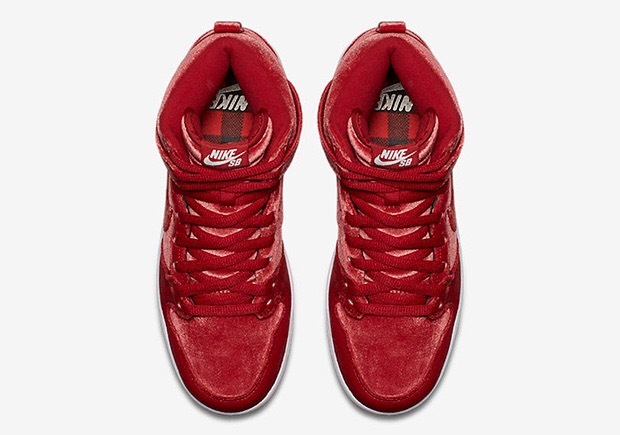 Come Christmas, we’ll have this “Red Velvet” high-top iteration to celebrate the season of giving and, you know, desert too. 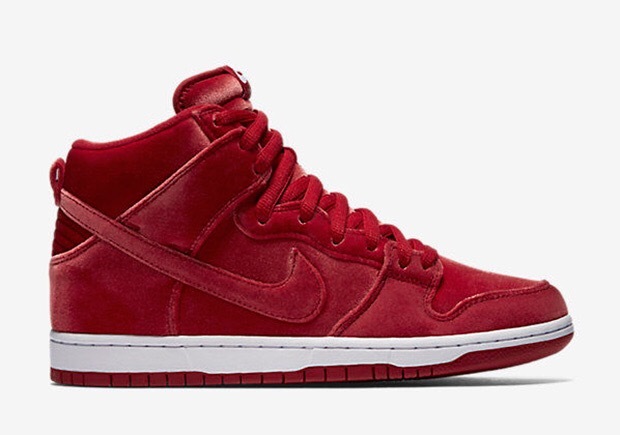 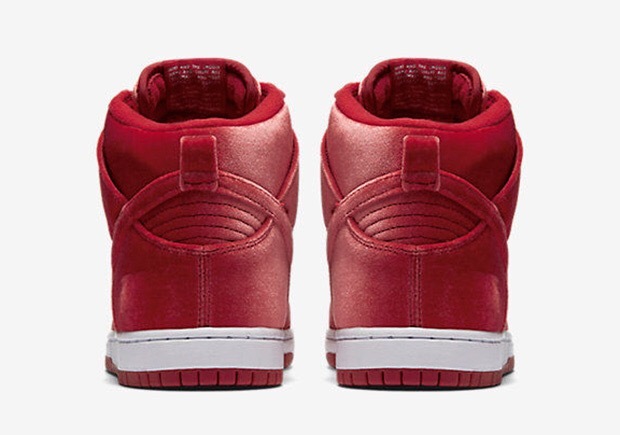 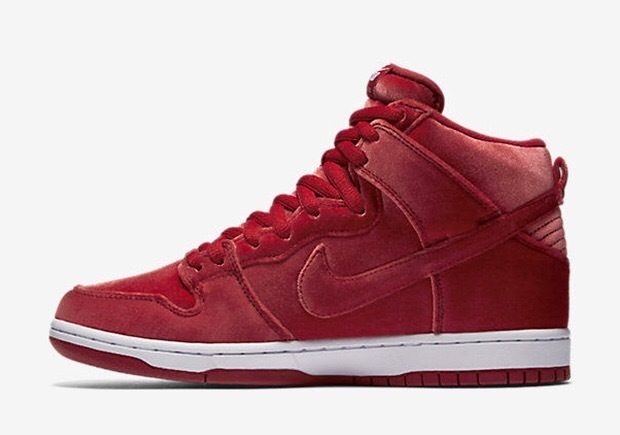 As with past Christmas variations of the SB Dunk High, premium fabrication adorns the skate centric style. 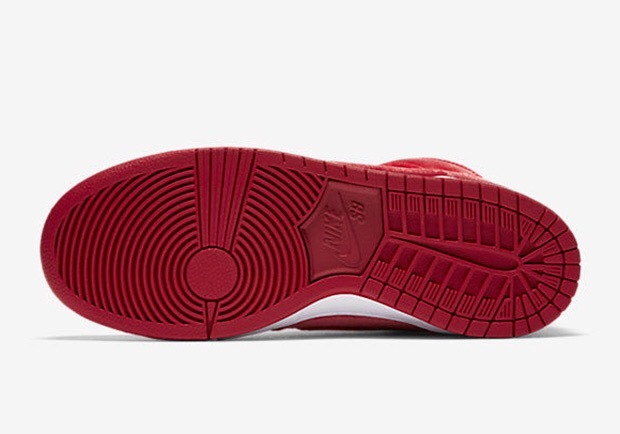 A tonal red velvet upper appears lush and festive, while a flannel pattern at the insole nods to the winter sweaters worn during the season to come. 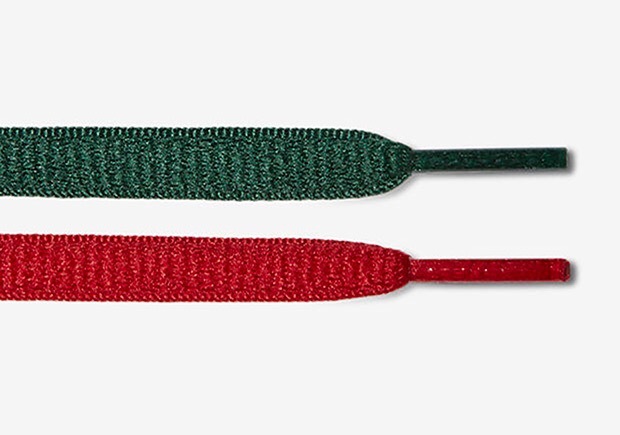 Red and green laces arrive standard to help ring in the holiday in proper fashion.